LA VOZ DE LOS SILENCIADOS takes us inside the mind and heartbreak of Olga, a deaf teenager brought from Latin America to New York City, under the false promise of attending a “Christian Sign Language School”. Upon arrival we enter a world of immigrant trafficking, and life is turned upside-down as she’s enslaved by an international criminal ring. Forced to beg on the subway, Olga uses courage, cunning, and even humor, to face an unimaginable nightmare-on-loop that ravages the audience. 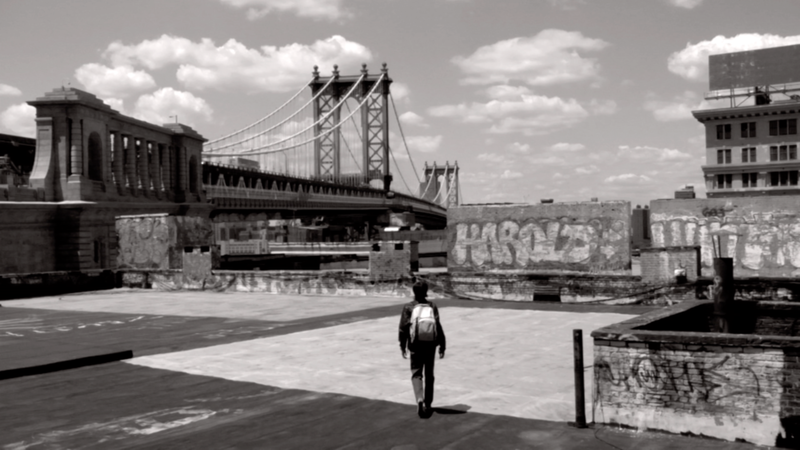 This film is based on actual events that transpired in New York City. For years I had noticed the people on the subway handing out cards, selling trinkets. In a New York numbed to panhandling as performance art, the methods of the deaf trinket-peddlers were something entirely different. The person would put the trinket down next to you, and trust that by the time they returned from the other end of the train, you had read the card—the one that said, “I am deaf. Selling this for $1 to pay for my education. Please help. God bless you.” By then, you would have decided whether to offer a dollar, or ignore them. Unlike other panhandlers, the trinket sellers never looked anyone in the eye, and consciously made it a point to avoid invading anyone’s personal space. After a few years, the NYPD uncovered what was really going on behind this illicit operation, and it became public knowledge that the trinket peddlers were slaves to an international crime syndicate. They had been lured to the US under false pretenses, and forced to do this demoralizing, repetitive work. They were all indeed deaf, but that was the only part of their routine that was factual. Modern day slavery, taking place in the largest city of the ‘land of the free’– right in front of us, and nobody recognized it. I read about this in the newspapers and became obsessed with telling this story to the public. The news came and went in one busy week—people moved on, I didn’t. I kept coming back to the story, consumed with sharing what I believe is the perfect allegory for human greed. A decade later, we shot the film that is now infront of you. I wanted to make something emotionally challenging and cinematically unique. Of course, silent films are the oldest form. But I wanted to do a modern silent, not a pastiche or homage to the golden era, and not as a gimmick to signify deafness. LA VOZ is a fully integrated silent movie, with a vibratory, low frequency sound design that puts the audience into Olga’s headspace. Telling this story, in her language, was the driving force behind LA VOZ.